Your website contains an easy-to-use contact form system. 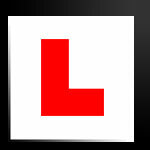 As a website owner, it is extremely simple for you to create a form on your driving school web page. In fact, you can add as many contact forms to your website as you wish (although we would normally recommend only using 2 or 3 forms as a maximum). Add the Contact Form in 'Menu & page type'. Add the text which sits around the form in 'Pages'. The web page contains 2 main sections for customer text entry, plus an email entry section. If you need a more sophisticated form (for example, with check boxes and customised sections), please use the contact form on this site and we will be happy to advise you on how to buy a more advanced solution. As a website visitor, the form is quick to complete and it automatically contains an email validation field. In other words, the user must submit an email address whenever they use your contact form. As a general rule, it is best not to publish your email address on your web pages, so the contact form system enables new customers to contact you quickly and easily. Whenever a form is submitted, the customer enquiry information is immediately sent back to the email inbox of the website owner.